UPDATE: For newer Nokia phones, please use NSS pro to reset security code. Click here to read more how to reset security code with NSS pro. Forgot your Nokia handset security code? Or you don't even have any idea what is your security code of second hand handphone because the previous owner has changed the code. For Nokia BB5 phone, you can regain the security code back by following this guide. Or, you can just reset your Nokia security code to default code, 12345. The guide below will shows you how to reset the security code. Under Power Mode, click Local and then click Change button. At this part, your phone should restart, and you should see the text Local mode across your phone screen. Under Production Data Edit, click Read button. The textboxes should now contain values. Check the Enable check box beside Product Code. Tick Full Factory button and click Reset button. Final step, go back to Phone Info and click Normal then Change. Now your security code is 12345. Note: If this guide doesn't work accordingly, you have to do some experimentation with the steps order. Check out how @Arvid had successfully reset the security code of his Nokia N82. I tried to reset the lock code on my Nokia N82. I got to step 7. When attempting to scan I got an error. I tried a few things, then spotted that on starting NSS it said that the "products" directory was missing. So I just added a folder called "products" in the main NSS directory. I tried again. This time it found the phone and was able to complete step 8. The phone was now in Local mode. However, as soon as I attempted step 9 - I got another error. So this time I reversed the process a bit. I got to step 7 again all well and good. This time though I skipped step 8 and did not go directly to Local mode. Instead I first did step 9. Clicked the "read" button under Prod. Data Edit. Bingo. The values popped up. I completed steps 10, 11, 12,13 and then got an error on 14. I removed the battery to restart - planning to switch to local mode before moving to step 10 this time. However, upon restarting, the phone displayed the default date/time and so I checked the factory default button, and indeed, the lock code had been reset to 12345. Thanks so much for the original post and the link to the NSS software. If anyone else has problems I recommend some experimentation with the order - it worked for me! Thank you for the information. This will be very helpful to everyone. The written post was based on experimenting the Nokia 6280. So I guess the steps order may slightly different by different Nokia models. Anyway, I'm glad it works for you. Perfectly worked on my BB5 handset Nokia 6233.
what about nokia e 63?? It should work on Nokia E63. You most too kind, I just succeeded in resetting my lock code on n97. not working when i put the product file.. The above steps are not helpful for Nokia 7610 Supernova. Please tell me how to reset the security code for Nokia 7610 supernova. This second step saved my life...Thank you for the developer who had produced this life saving product. I have been trying for a week to reset my security lock code but couldn't find anything. 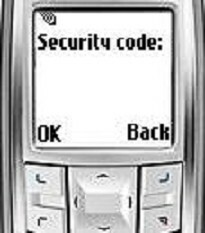 Then i updated the firmware on my Nokia E63 which would keep asking me to put lock code in when i would turn on my phone. Then i came across this blog and tried out NSS but the first method did not work for my Nokia E63 so i tried then second method and it worked wonders. Thank you very very much :D i am really happy that my phone is working again. How did you do that, i am having the same problem buddy...??? i added the folder 'products' but still the error message appeared at the bottom. my unit is nokia 3120 classic. pls help, anyone? i need to reset my security code so i can use my phone. This guide won't work on locked devices. Please try @4a1757d8c40b2ce53a5831fa5489ca89's trial and error method. Great to hear it works for you. It won't work on locked phone unfortunately. My phone is SIM locked to only one network. Can I use NSS to unlock my phone? It won't work on locked phone. plz can u describe how u actually did it ..i hav n97 too i tried it man times but it dint work ..
You need the software to reset the security code of your phone. Providing IMEI number will no help. You must be able to choose connection mode on your phone. Otherwise, it won't work. very very very very tanks dear. i have unlocked my phone very easily by following above points. And Nokia wanted to charge me $50 for the honour of resetting the code when it was a firmware update from them that changed it!.. Thanks to all, it worked a charm on my N86 with the help of Arvid's finding. One thing that had me going around in circles for a while when NSS wouldn't connect is that you need to ensure you have all other Nokia software closed (eg: Ovi Suite, Software Updater, Nokia Link) or NSS won't connect even if the Virtual USB device loads normally. That's a lot Nokia wanted to charge for such a simple process. Thank you very much for providing valuable advice. It certainly helps others. It seem not working. Please follow the reset security code steps. It works on @Nay 's Nokia E63. Thank you Boss, It works on my nokia e71 and now am using my mobile. But why we are facing the lock code probelm after installing their own (Nokia) firmware updation. Actually i did not change my lock code, again it asked me for the lock code..... Suspecious matter, they (Nokia) want to to make money by this ???? Thanks so much sorted my E63 , now i can bless someone with a nice phone that still works 100%. Glad it works on Nokia E63! Hi, I'm not sure whether it works for E72. Did you try hard reset by holding capslock, space, backspace and power buttons? @blurrymcgee claims it will reset the security code to [a href="http://keyable.blogspot.com/2012/02/how-to-reset-nokia-security-code.html#comment-448384788"]12345[/a]. My pleasure. Which Nokia device were you using? I am a little confused :S does th phone have to be on when u press these buttons or off :S I have an n97 but i dnt remember the lock code....s the ock code and the security code the same thing? Hi @P12345, the lock code and security code are not the same thing. Your phone has to be on when pressing the buttons. Those buttons combination is to hard reset the phone. Is your phone locked? This guide only works before the phone is locked. you are welcome,that works with my nokia 5310,with second procedure. Other than security code reset with NSS, I know changing product code with NSS. I can make a new post about it if you're interested. yes realy iam interesting with this mobile feild.i have serching to find secret of phone repairring,your idia is very help full.please post your new idia. Thank you. I will publish it today. I have no idea how to unlock a locked phone so far. After reading the feedbacks on that website, I'm doubt it will work. Can you try the solution provided by @max ? Which Nokia handset are you using? Make sure you have installed PC Suite/Ovi on computer. It will be helpful if you can provide what error message you get while scanning your phone. If you get 'Scan for product....error' error message, you may use NSS pro which supports newer Nokia phone models. It won't work for your phone if it is locked because NSS requires Nokia Suite connectivity driver in order to read it. Thank you. Glad to hear it works for Nokia E Series. what can/should you do if the phone is off and if you try to turn it on it askes you the keylock code? I'm doubt that NSS supports newer Nokia X6 model because NSS has been discontinued years ago. NSS pro should be able to support Nokia X6. Congrats for successfully reset all the phones. I have no idea how to flash Nokia phone. i m lost at step 7..
at production data edit, i had click READ but the reading error is Error..
NSS can't detect your phone. What is your phone model? It will not work for locked phone. Nice to know it works for your phone. Can you please tell me how to access the NSS main directory? So everything seems to be wiped and I am happy (saved me £20 at the Nokia Care Centre!). what have to do when get error??? Thank You... I have unlock my phone from your software. The NSS directory is located in C:\Program Files\NSS by default. hello,i have nk6300,mmm how can i access pc mode@pc suite mode,when my phone requesting security code on start up? It won't work if your phone is locked. Flash it with Phoenix Service Software might help. Congratulations! Thank you for the comment. I have a nokia 5530 but at step 14 it says phone not found. Whats wrong? Pl advice how to correct this. ur d best..tried it first time came up with error..removed the phone closed the software redid everything..and worked like charm on my e 63..certainly saved 500 bucks!! Thanks, this worked like charm ! I did not go into Local mode and did it in Normal power mode, as Local mode was not working. It did reset successfully in Normal mode. Thanks again. I did it for Nokia E-72. Thank you..it worked for me.. This does not reset the lock code, just the phone itself. Simply create a folder in NSS directory and name it "products". is that normal? or i missed out something? pls help... thanks! please help me.. i've tried as you explain.. i even added up folder "products" in NSS directories, but the output still shows "products" directory was missing, and when i change the phone mode to "local" the phone went off and charging (NOKIA logo) i cant find the local mode accross the screen, Need some advices here... thank you ..
thank you very much! i tried it just now nov.25,2012 and it is very well working for me!thank you very much i say again! ^^ so happy and sattisfied! yeah...just simple as that bro. just simply follow instructions and you're problem is done! thxs bos ats infonya...sukses selalu..
Glad to hear. It feels much more as the owner of the phone by setting your security code. Congrats! It worked and my phone did not ask for lock code after I did exactly the steps to restoring the full factory settings using NSS. Thanks a ton. You're welcome. Happy to hear that. but my fone on starting asks for security code how wud i select the pc suite mode dear??? how to unlock nokia 103 plz help plz.. Thanks very much, man. I've just unlocked my Nokia E63 after forgetting my password. Thank you! ooo really grt ...........thanks for the info...i hv tried diff steps as arvid hv posted.. This didnt work for me with my Nokia C2-00. I added the Products folder in the main NSS directory but still get ERROR when I try to scan. Even on the initial scan, I still get Products Dir not found. Any suggestions how to proceed? There's no posts here since a year ago, has anyone had success in that time? but at where add the folder product? i used dis for E63 successfully..
grt it worket thanks a ton man ur awesome genious. does all the memory gets erased? 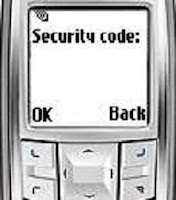 Security master code of older generation Nokia DCT-3 and DCT-4 phones can be calculated from IMEI number. Thus, providing IMEI of Nokia E63 is not necessary. Please the steps in this post to reset your security code. i followed the steps had some errors followed Arvid's and made some experementings of my own and worked fine. Thanks a lot! can anyone help us where we can put the "product" folder into the NSS main directory? thanks! Nice information. i would like to share my experience regarding this. I have reset my Nokia 1600 using free master reset code. I got the reset code from the site Unlocking4free.com ,here they are providing free master reset code for Nokia DCT mobiles and Alcatel old model mobiles. I have unlocked it using unlocking instructions. how can i add the folder "prducts"
i have a nokia x2-00 and need to enter a security code...but I forgot mine...how do i get one or get a new one? hey! how can i unlock it if i can't access pc suite? It is locked? Try to flash it to get back into the device at least. You can flash the phone. Work with Nokia e63! Cheers!!! Thank you so much! Thanks buddy, i reset the code for my E63. Followed from sr.1 to 7, skipped sr.8, went directly to 9 to 15.
my code was reset !!! got it done very smoothly.